Last Monday, our debut show on Radar Radio aired, the first of (hopefully) many two hour sessions for the London station! 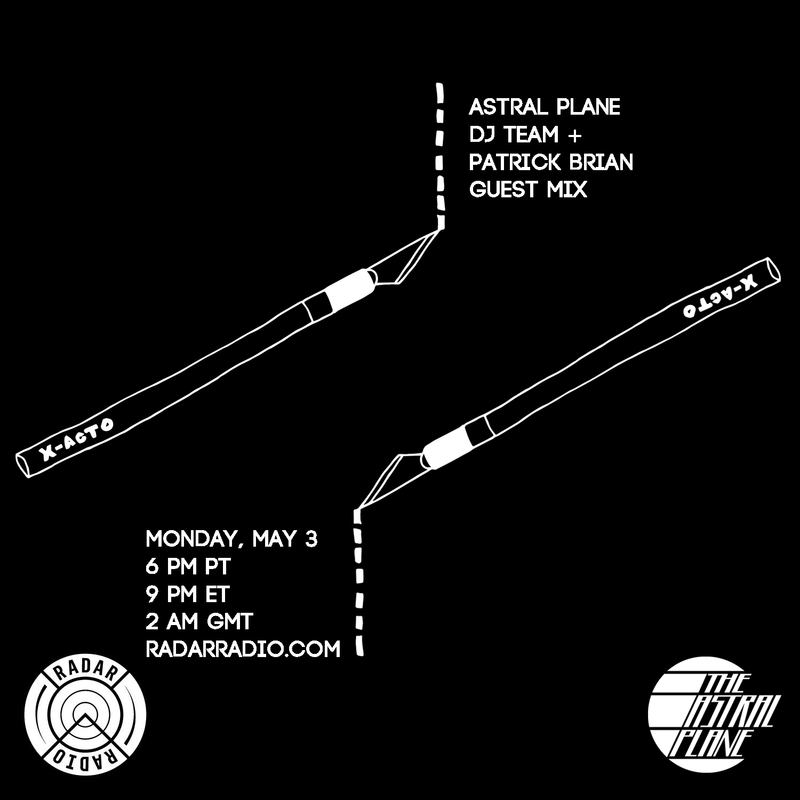 Every two weeks, the Astral Plane DJ Team will be taking over the first hour and bringing out some of favorite Los Angeles artists for the second hour. The show is pre-recorded, but be sure to send in dubs/tracks/releases/whatever and we’ll be sure to give them a listen and consider inclusion. Last week’s show featured Terrorhythm’s own Patrick Brian on the guest mix, tearing down everything with a selection of percussive grime, techno and everything in between. Next week, we’ll have Private Selection’s Arkitect on with an all vinyl selection of acid, techno and some exclusives from friends and label mates. As of now, our bimonthly slot will take place on the first and third Mondays of every week from 6 – 8 PM Pacific Time although that might change in the coming weeks/months. Tune in.